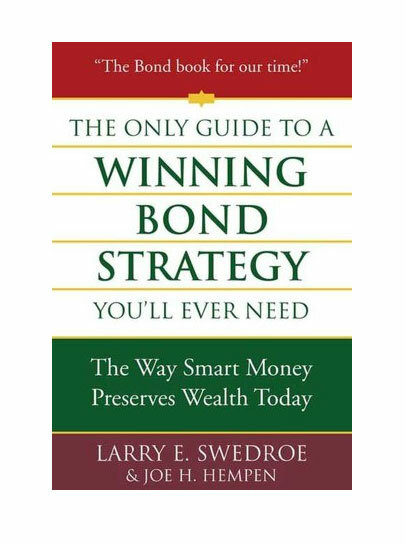 The Only Guide to a Winning Bond Strategy You'll Ever Need: The Way Smart Money Preserves Wealth Today - IFA Vintage and Current Book Library - Index Fund Advisors, Inc.
Notes: Larry Swedroe, the author of The Only Guide to a Winning Investment Strategy You'll Ever Need, has collaborated with Joe H. Hempen to create an up-to-date book on how to invest in today's bond market that covers a range of issues pertinent to any bond investor today including: bond-speak, the risks of fixed income investing, mortgage-backed securities, and municipal bonds. The Only Guide to a Winning Bond Strategy You'll Ever Need is a no-nonsense handbook with all the information necessary to design and construct your fixed income portfolio. In this day and age of shaky stocks and economic unpredictability, The Only Guide to a Winning Bond Strategy You'll Ever Need is a crucial tool for any investor looking to safeguard their money.